Yesterday my mom left this world behind for a big bridge club in the sky after a long battle with lung cancer. She was a real warrior with an endless reserve of can-do and had become the light of my life in these last years together. 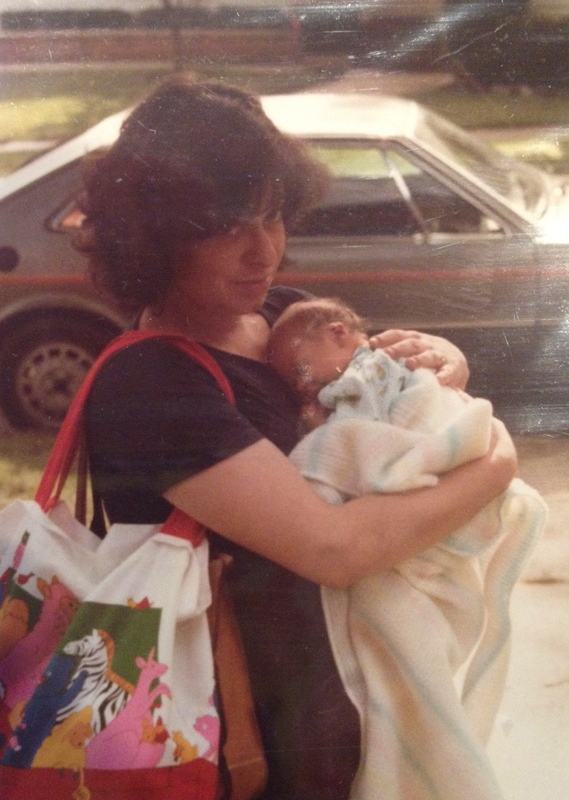 I am so lucky to have gotten to know her – not just as a mom – but as a gutsy lady with some serious mettle. Right up until her last day, she was teaching me about strength – no matter what the Big C threw at her, she was still MacGyvering her way around it. She made new friends everywhere she went and protected them all as if they were her own cubs. I am so thankful for that extended family today. She is often celebrated for being an expert chef and a talented artist, and, boy, did she know how to run a shop. And despite her penchant for gold outfits and perms (for her, the 1980s never ended), she livened up every room with her spunky NY humor. You never really knew what was going to come out of her mouth next, but it was usually something bold and brilliant (and often embarrassing for me). I lived to earn her laughter, and few things in life ever felt as good as hearing when I’d made her proud (mostly because I did a lot of messing up first). She’s given me so many gifts in these last 34 years that it would be impossible to name them all, but I thank her a billion times over for each one of them. She and my dad gave my sister and me so much, but right now, the gift I’m feeling so keenly is a heart that’s so full of love I think it could burst. I hope they’re together somewhere now, sharing a cigarette and a Coke with old friends, listening to Sinatra, and knowing they mean the world to me. I’ll be away from the blog for the rest of the week but will miss you all and look forward to coming back next week! Lovely tribute, Tanja…your Mom would be so proud. What a beautiful Lady of many talents! Cynthia taught us how to live life to the fullest through her amazing strength. Cyn cared more about how you were than how she felt. I am so grateful to have had the opportunity to know her the past couple of years. As she would say “we understand each other” (both midwesterners) but she certainly left her mark on the southerners, Love you, Cyn. My sympathy to Tanja, Jhenna and family. You and your sister have my sympathies on the loss of you mom. She was a special lady, which was full of talent. I have many fond memories of your parents both being involved in the community plays, musicals and the fun time we had behind the scenes. She certainly knew how to host a cast parties! You never knew what Cynthia with do vacation, which made it fun! Your blog was a beautiful tribute to her. Perfect Tanya,you really captured your Mom, she was a true one of a kind, I can laugh just remembering any number of times with her. Shirley Connors and Donna Braatz and I talked about some of them today. I may still have some good photos if you’d like them let me know. You have my deepest sympathy. Working with and for your Mother could be interesting at times; but what a joy with lots of laughs. She would give you the shirt off of her back, if you needed it. I know she helped many people in Monroe. Her laugh and interesting comments will be greatly missed. You had a truly wonderful Mother, who was very proud of her daughters. She will be missed very much. I loved my dear and wonderful Cynthia friend for a million different reasons. We shared a very unique bond that I will never forget and be forever grateful. Your Mom touched many spirits with her powerful presence, and laughter. May you always feel her love embracing you. My most sincere sympathy surrounds you warmly. Things I will remember about your mom…NY accent, bold ability to tell it like it is, perfectly decorated Christmas trees (even though she was Jewish), obsession with no wet footprints in the house and her kindness to all of our gang. We will never forget her! With year filled eyes I read this knowing the pain of losing a mother. Beautiful words Tanya with even more vivid an beautiful memories…those are yours forever, cherish them!